I have a question. The Chemical Brothers play guitar and bass? Pretty sure Tom plays guitar, and (without wanting to be insulting) therefore bass as well. 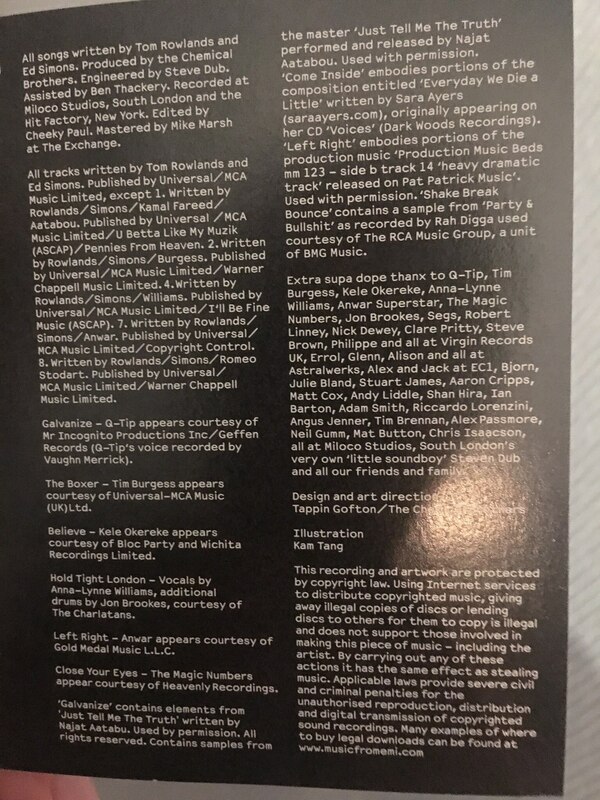 Just in wikipedia I saw a part of the article of "Push the button" in the part of "Personal" in which Ed Simons said: keyboards, engineering, bass, guitar. I do not know if that's true. Just checked the sleeve, nothing about it in it.